He receives a phone call in Russian, and assures speaker on the other side not to worry. Just prepare his namecard, “Asia Pacific’s Senior President.” I’m guessing that he’s going to carry out some shady deal in exchange for a title. An Xi has a game of Chinese Chess with Grandpa and smiles over You Qian’s text. While Grandpa grumbles over the fact that she didn’t accept his friend request, Yong Qing descends unannounced on the doorstep and awkwardly calls, “Grand…grandpa.” She is all smiles towards Grandpa, but dishes her tea leaves rudely to An Xi for her to brew tea. When An Xi prepares tea, the two smile awkwardly at each other. An Xi overhears Grandpa’s complaint that he’s cold and gets a jacket for him. 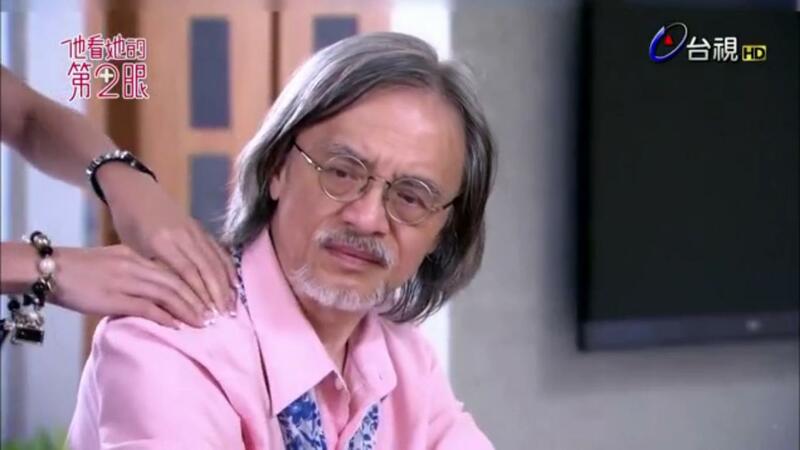 She goes upstairs, and Yong Qing takes this chance to pour tea and massage Grandpa’s shoulder. I think Grandpa is going to get indigestion from Yong Qing’s sudden change of behaviour. An Xi returns with the jacket, and Yong Qing smoothly takes it from her, giving her a triumphant look. Her face drops when Grandpa thanks An Xi instead, so she resorts to sending An Xi on an errand. She criticises An Xi’s chess skills and challenges Grandpa to another game of chess, thinking that it’s only fun when you have a good opponent. Grandpa tells her that she has already ruined the heart of the game. You Qian returns home almost around the same time as An Xi, and chastises her for not telling him that she went out. As An Xi points out, it’s only six in the evening, but Protective You Qian Mama Bear insists that she informs him next time hehe. 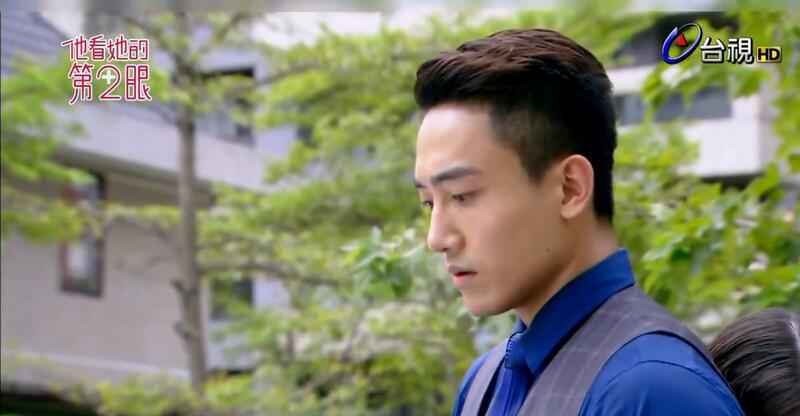 He notices Yong Qing’s attitude towards An Xi and calls her up for a talk. Basically do not confess. She retorts that even if someone is to end the relationship between the two of them, it will be her. He crosses over to her side, and touches her hand. Although this is really sweet, it also sparks off that rational side of me whenever such heart talk is involved. Like I’m just thinking, no, the meaning for your heartbeat is so that your entire body can get blood and you won’t die *lack of romantic cells*. “Do you want to test how fast my heart can beat?” He points to his cheek, but when An Xi turns around shyly, he cheekily gives her a peck instead. 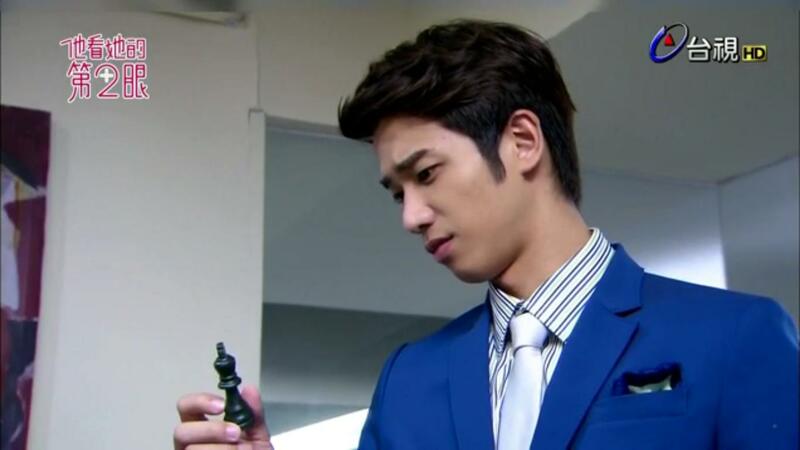 Thankfully, Jasper Liu can carry this off. Or I will be cringing right now. An Xi collapses onto her bed in a blissful mess and thinks of preparing a surprise trip for You Qian. Your words make no sense. You Qian picks up the chess piece on the floor (Yan Ze has successfully thrown it into the pen cup for many times, but the moment You Qian appears in his room, it falls to the floor) and points out that the paint from the king has faded a little. “Do you really mind this piece so much?” I kinda like this scene because it shows how Yan Ze is just one-sidedly in a competition with You Qian. You Qian asks Da Yu to check up on Yan Ze’s behaviour. It’s easier to lose friends than to make friends; it’s harder to lose enemies than to gain enemies. The least he wants to do now is to avoid being enemies with Da Yu. An Xi asks Yan Ze out so that she can get a Dummy’s Guide lesson on wines. Yan Ze gives her a sob story about how his stepfather never thought that he would need etiquette lessons, but he learnt anyway because Yong Qing took pity on him. An Xi strikes a deal with him – he can find her when he’s unhappy and she finds him if she has anything to learn. Yan Ze takes this chance to get physically close to An Xi, and asks if An Xi still wants to find her mother. Aww! Look at how An Xi’s face lights up. You Qian enters Director’s room and Director walks slowly to the window. She reminds him how he got into the company and who was the one who gave him the opportunity. Well, Yong Qing. You Qian repeats what Director has told him many years ago, that you cannot trust anyone or anything. The only thing you can trust is a piece of signed contract and when money is transferred to your bank account. So how can he show his promise? Well, that escalated quickly. Actually, I really like it how this marriage idea is brought in. It’s definitely not a new idea (and immediately brings to mind Fall In Love With Me HAHA), but likening a signed contract with a marriage certificate is just exactly what the Director would have thought. She further entices him with the project. It’s going to be a project that will generate lots of revenue, it will benefit the company, and most importantly, he will be the only partner in the company. Basically a position bribe. Brief cut to Yan Ze and An Xi happily drinking wine, alluding to the fact that An Xi is going to get drunk and that You Qian’s priority is work. HAHA (not I’m not really laughing) WHAT KIND OF REASONING IS THAT? If you only date supermodels and celebrities, do you know what that says about you? You are superficial, not confident. You Qian points out that An Xi is pretty special. She holds no grudges even though her parents left when she was young and she’s still waiting for her mum. She turns around indicating that You Qian should leave, but as he’s leaving, she insults An Xi. In terms of demeanour, intellectual capability etc, she’s too far off from Yong Qing. Now why don’t you start comparing the number of friends, a good heart, a happy life, my dear Director. Da Yu worries about him rejecting the proposal, but You Qian deduces that there’s something wrong with the Russian project. He suspects that the company is collaborating with the Russian Company to get rid of toxic waste in Pu Lang village. Ya En comes to Taipei to find An Xi, but chances upon Yan Ze bringing a drunk An Xi home. Yan Ze notices her but simply shrugs his head and brings An Xi up. A very drunk An Xi tries to find the light switch (even though it’s broad daylight) but a jealous You Qian quickly pulls her away from Yan Ze. Even though Yan Ze emphasises that it was An Xi who asked him out, You Qian still suspects that something is wrong with Yan Ze. Yan Ze intentionally lures Ya En into a convenience store, and he pretends that the cashier just asked him for his number. Ya En immediately jumps to ‘his rescue’, thus dropping her cover of tailing him. “Didn’t I tell you not to like me?” Ya En tries to deny that she likes him, and he passes her one drink (he bought two since he noticed her long ago). He walks her to the bus-stop. HAHA. What about that time at the tailor shop? Where did she kiss him? You Qian cute-ly points to his cheek. Mmhmm, then where did he kiss her? Her forehead. She scolds him that the mouth is the closest to the cheek, but he kisses the forehead which is the furthest away. What about that day when Grandpa walks in on them? “Wait, but you were the one who pushed me away!” How about that time when he kisses her cheek to fulfil his wish as a nerd? She cups his face and kisses him, much to his amusement and surprise HAHA. AND MINE. 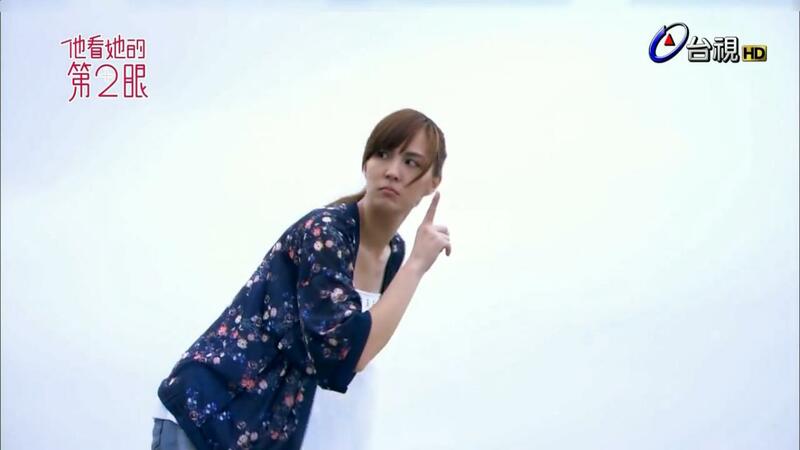 Although this is like watching An Xi’s Monologue, it was pretty funny and I think You Qian’s beams are THE CUTEST. An Xi collapses onto the bed, sees her pillow and starts talking to it like it’s her mum. Drunk drunk. You Qian listens sombrely to her murmur about her father’s death anniversary the next day, and how she wishes her mother to appear just once in her life. Noo I’m sure it’s not like that. You Qian lends An Xi his shoulder and she falls asleep. Yan Ze walks Ya En to the bus-stop and he leaves with just a goodbye. Just at this moment, someone randomly decides to attempt a kidnapping on Ya En, so Yan Ze turns around and punches evil guy. Ya En gets a shock through this 10 sec ordeal and faints, so Yan Ze hurriedly carries her to a hospital. En route, she wakes up but doesn’t say anything. Too bad for her, because her Prince Charming realises, “If you are awake, you should say something.” He dumps her back on the ground and walks off, but she runs up to him and hugs him from behind. “I…towards you..” He cuts her off, “I’ve already said you are trouble.” He offers to fetch her home and so she doesn’t get to confess. She still feels like something is wrong and dashes off to the kitchen…to get a piece of seaweed HAHA. Hey I think you look great! She takes a photo of him and the both of them chuckle at how pervertic he looks. An Xi comments casually that no one would expect him to be so good looking now. You Qian tells her it’s Yong Qing’s credit, and An Xi mutters, “The two of you have a lot of history.” She quickly reminds herself to be the bigger person. 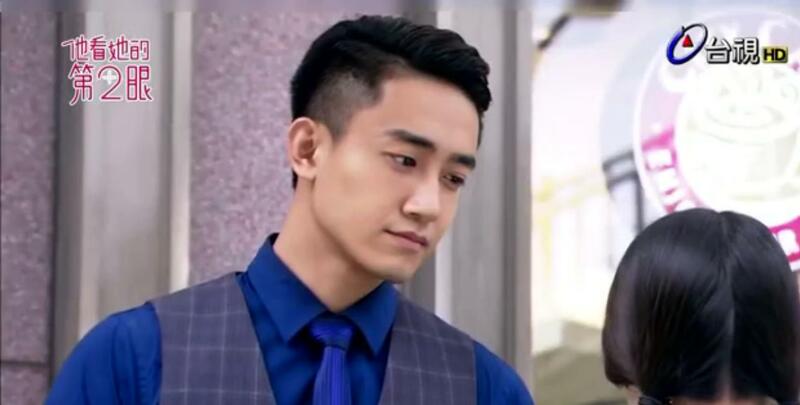 You Qian tells her that he had agreed to be Yong Qing’s fake boyfriend because she has the same birthday as An Xi, and she was betrayed by her first love on that day. An Xi is puzzled as to why You Qian is suddenly Unibrow, because she has cleanly forgotten everything she said. 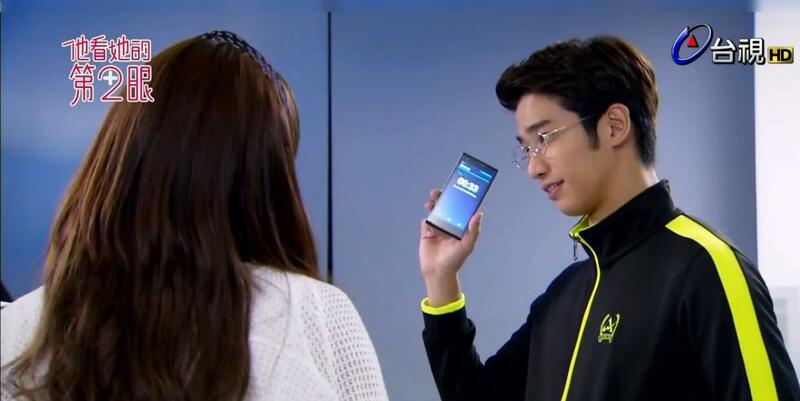 You Qian teases her about the kisses and she denies them, so he whips out his phone and its recording. A recording of her entire drunken rant. He tells her that he will fulfil all her wishes that day – she wants Unibrow? She wants kisses? An Xi tells him to stop inching forward and in her frenzy, the two of them topple onto the sofa. He continues to tease her, “Oh yeah, you asked me just now – let’s see where you can escape to!” An Xi kisses him to stop him from talking. And that sort of turn into a intense-hot kiss session. Which abruptly ended when An Xi topples off the sofa onto the floor. He suddenly plays a recording of classical music and tells her to find him the next time she wants to learn something. Why does she have to find Yan Ze? “If not there will be no surprise.” “I just hope you won’t give me a shock.” Hahaha. The next day, An Xi returns to the beach to talk to her dad. Her dad had always told her that things to be forgotten should be forgotten. Those which should be remembered shall be placed deeply in her heart. That’s why she only visits her dad once a year. She finally tells her father that she’s dating someone and the waves lap at her feet. She takes it as a sign that her dad wants her to fake-surf and does it secretly. An Xi notices Director, who turns into judgey-mum. Judgemental mum asks her why she’s here, and she tells Director that she brought Junior An No. 18 to visit her dad. Director thinks to herself that he was on his 18th surfboard and learns that An Xi’s father died because he went out surfing. Director repeats those words to herself and turns around. I’m not exactly sure how many more episodes there will be, but judging by the arc of the plot, I would say it has to end around 16 episodes. Too many and it will turn draggy. Besides, in the next episode, it seems like You Qian is going to tell An Xi the truth about her mother! I like it that Yan Ze is actually posing some sort of conflict right now. Although I appreciate the simplicity of the plot, I do find that this lack of misunderstandings and manipulations can be a little boring at times. The only strong thing they have now which fuels the drama is the main couple, its dialogue and its little physical interactions. WHICH I ADOREEE. Who else loves that scene on the sofa which ended so abruptly! I know I do! I also feel that Jasper and Mandy are getting so much better at handling their chemistry with each other. Initially, it felt a little awkward, especially if you scrutinise the visuals they did for the opening scene and closing scene each episode. But now, I can really feel that these actors are friends in real life, and they like acting with each other. I also like the idea of forcing the marriage onto You Qian, but that You Qian rejected it from the outset. It’s like Fall In Love With Me being dealt with in 10 seconds flat. HAHA. Let’s hope the drama finishes strong!